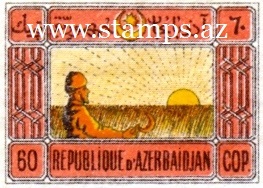 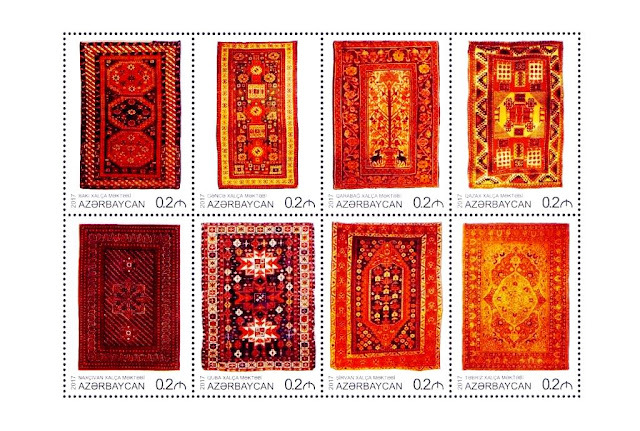 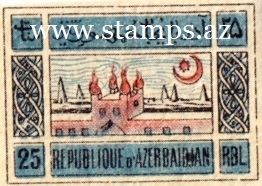 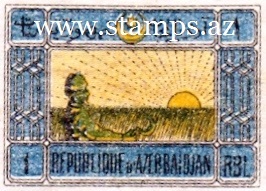 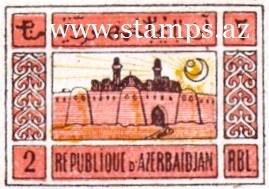 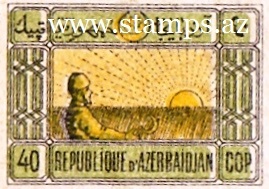 The first postage stamps of the Republic of Azerbaijan was issued into circulation on October 20, 1919 by the Government of Musavat .Artist. 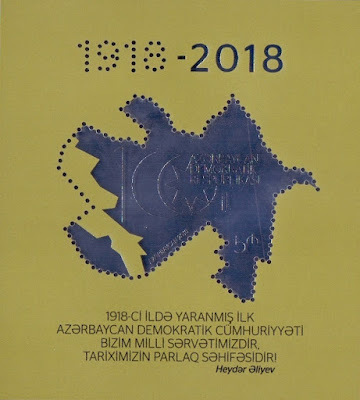 - Alizadeh Zeinal Abdin bey Haji Agha bey oglu. 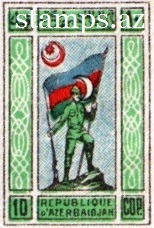 Print type. 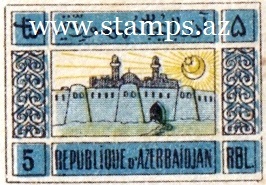 - Lithography. 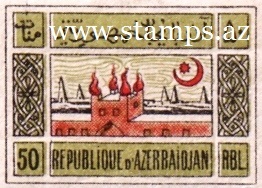 Stamps without teeth.Thin white paper. 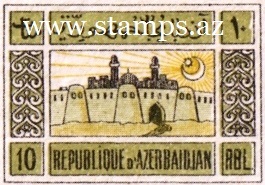 Clay from white to grayish brown.Stamps have many shades, depending on how the paint is applied on the printing plate.There are stamps of this issue with the local perforation 11½.There are counterfeits of all stamps of this release, printed on thicker paper and pure white glue, as well as the size of the outer frame is different.